French hold enemy east of Reims, though retiring slightly near Prunay; west of Reims Germans make some ground up the Marne as far as Reine towards Epernay and between the river and Reims; Americans recover ground north of the front St. Agnan-La Chappelle; Germans claim 13,000 prisoners. British sloops torpedoed and sunk; only 12 survivors. Announced Marshal Conrad von Hötzendorf, Commander-in-Chief, Austro-Hungarian Armies, relieved of his command. Ex-Tsar Nicholas II murdered. French retake Fleury, and make progress towards Thiaumont; 1,750 prisoners to date. British gains north of Bazentin-le-Petit. Russians penetrate into Rudka-Mirynska, 20 miles east of Kovel. Belgians occupy Ujiji on Lake Tanganyika. Casement hanged. British activity all along the line; numerous raids on German positions. Sir Roger Casement found guilty of high treason and sentenced to death. Further German attacks on Hill 304 repulsed; French progress in region of Thiaumont Farm. War Office announce Australian and New Zealand troops in France. German rally in East Africa; they advance on Kondoa Irangi; Belgian advance into Ruanda progressing satisfactorily; German attack Nhika, Portuguese East Africa. White Star liner Cymric torpedoed, sinks in 11 hours; five of the crew killed. Four more Irish rebels shot. Zeppelin destroyed by fire of Allied Fleet over Salonika Harbour. German attack on Hill 304 in the Avocourt region; a footing gained in an advance trench. Major McBride, Irish rebel, shot. Russians within 120 miles of Baghdad. Zeppelin L7 destroyed by gunfire of H.M. ships Galatea and Phaeton and by a British submarine off the Schleswig coast. Four more Irish rebels shot. French push at Verdun; German positions north-west of Mort Homme and 100 prisoners taken. 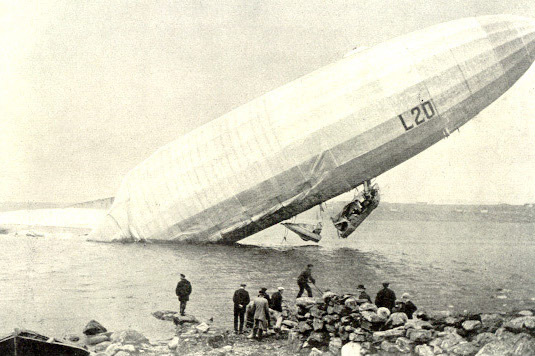 Zeppelin L20 wrecked off the Norwegian coast. Hostile aeroplane raid on Deal; three casualties. Resignation of Mr. Birrell; three of the Irish rebel leaders shot. New Military Service Bill introduced by Mr. Asquith extending compulsory principle to married men.